No matter where you are, MMS Building Contractors Network are here to restore your property from a fire, flood or escape of water. Not only can we repair your property to the highest standard, we can also interact with your insurance company to ensure you receive your full entitlement with regards to your claim. This will ensure that there are no hidden surprises once work restoration work begins. MMS Building Contractors Network have local building experts throughout the UK. Wherever you are, when you need us, we are never far away. 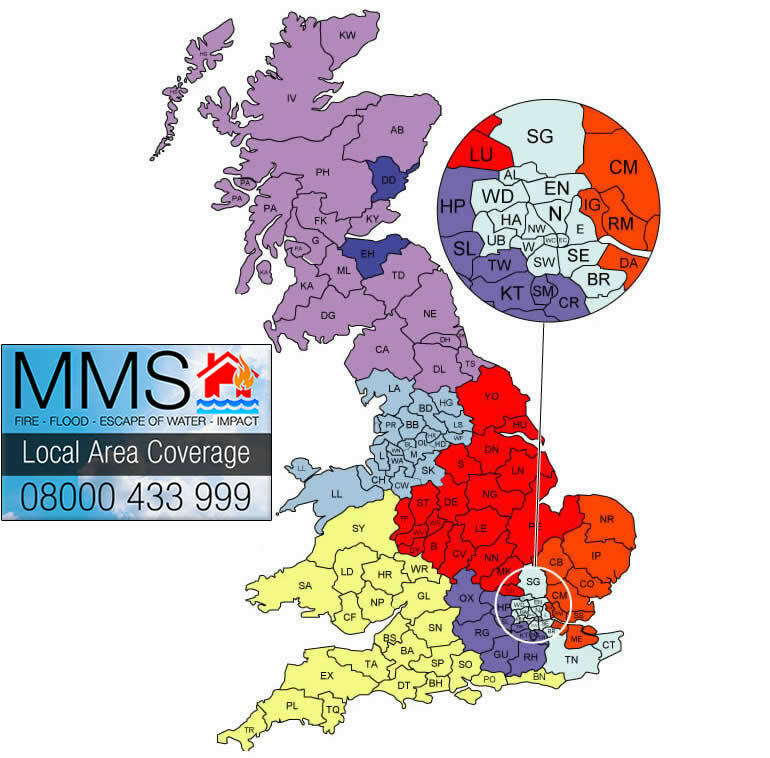 To find your nearest MMS Building Contractor just click on your local area.